In 2017 we awarded seventeen (17) $2,000 scholarships to Santa Clara County community college students transferring to a four-year university with junior year status or to previous scholarship recipients. See photos from our 2017 scholarship fundraiser. Browse our 2017 scholarship fundraiser program (including our list of donors). Special guest speakers included Father Jon Pedigo, Chair, Interfaith Council on Economics and Justice and Assemblymember Ash Kaira, District 27. Guests enjoyed appetizers and desserts provided by Casa Vicky, music by Brian Ho, well known jazz organist in the Bay Area, and a preview of the very best of contemporary Latino art from MACLA’s 19th Annual Auction on display in the gallery. We are very grateful to the outstanding community leaders who are generous donors and who served on the Honorary Committee for this year’s event: Carmen & Alcario Castellano, Hon. Cindy Chavez, Hon. Kansen Chu, Judge La Doris Cordell (Ret. ), Hon. Dave Cortese & Hon. Pattie Cortese, Adam & Laura Escoto, Mary Ellen & Michael Fox, Carol Garvey, Bishop Patrick McGrath, Steve Preminger, Wiggsy Sivertsen & Hon. Susie Wilson. NELIDA CEDANO Nelida was born in Mexico. 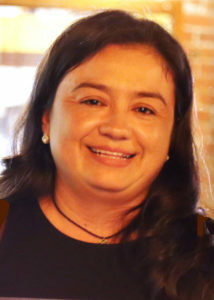 She is married with children, and was finally able to continue her education by attending Evergreen Valley College, then transferring to San Jose State, where she is studying to become a teacher. She has had much experience by volunteering in her children’s school. 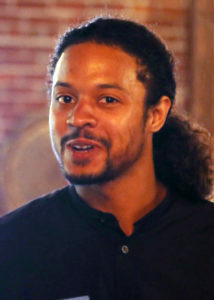 KENNY JACKSON Born in Palo Alto, Kenny previously attended Evergreen Valley College, where he was involved in student government, serving on the community college council and the integrated planning committee. He has volunteered in mentorships in both Cuba and Brazil, providing school supplies and clothing needed to promote academic success for students in favelas. Kenny is currently attending UC Merced, majoring in psychology. ABIBAT OSHIOBUGIE-SULEIMAN Abibat was born in Nigeria. She attended San Jose City College where she was President of the Associated Student Government. 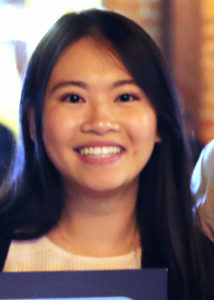 She was student speaker at SJCC spring commencement (2015) and International Student Program Ambassador at SJCC from spring 2013 to spring 2016. Abibat was a volunteer in the emergency department at Kaiser Hospital and a shift leader for the patient services department since 2014. She was an intern at the Stanford summer pre-med intern ship in 2015 and a research intern at UC San Francisco in the summer of 2016 at UCSF. She is now attending UC Davis, pursuing her plans to become a doctor. ZAINAB YUSUF Zainab was born in Sierra Leone, where she grew up in an orphanage. She is the first in her family to have the opportunity to attend school and also being physically challenged, Zainab had the motivation to seek higher education. 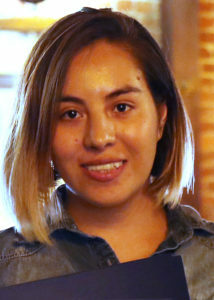 After her senior year at Hermana Gmeiner International School with a 3.9 GPA, she decided to play the diversity lottery, which she won to come to the United States. She attended San Jose City College then transferred to San Jose State, where she plans to get a degree in social work and pursue a career as a child welfare social worker. She has a vision of one day being able to open an orphanage. KARINA VELAZQUEZ AGUIRRE Karina was born in Mexico. She was brought to the U.S. by her mother as a toddler, after her father died. She went to San Jose City College and is attending San Jose State University. She hopes to work in juvenile justice to help young people overcome challenges. SHAIDA BIGLARI Shaida was born in Tajikistan. She and her sister moved to the United States a few years ago to attend college. They came without their parents and have struggled to earn money, as their father has been unemployed for several years and their mother does not earn much. Shaida has worked as a camp counselor for the YMCA Outdoor Science School. She attended De Anza College and is now attending Cal Poly San Luis Obispo. Shaida wants to be a biomedical engineer. 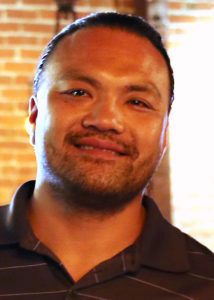 MCARTHUR HOANG McArthur had a difficult childhood and was in foster care as a teenager. He has also had to overcome a learning disability as well as substance abuse. He graduated from San Jose City College with a 3.96 grade point average and is now attending UC Berkeley. He plans to major in sociology and wants to become a motivational speaker. CINTHIA MAGANA MORENO Cinthia was born in Mexico and came to the U.S. with her family when she was a small child. Her sister became very ill when Cinthia was about 5 and was taken by ambulance to the hospital in the middle of the night. Her sister recovered, but this early traumatic experience influenced Cinthia’s decision to go into the medical field. She plans to become a physician’s assistant. She has attended Evergreen Valley College, De Anza College and San Jose City College. She is now attending UC Santa Cruz. ANH NGUYEN Anh was born and raised in Vietnam. She had a difficult childhood and her father died when she was 18. Anh learned Chinese and Japanese and worked as an interpreter for a Japanese company. While she was in Japan, her mother came to the U.S. under a program for ex-political prisoners, which her father had been. 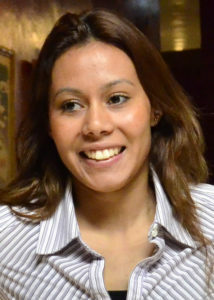 Her mother was able to sponsor her to come to the U.S. in 2013. She has managed to become fluent in English and earned a 3.96 grade point average at San Jose City College. She is attending San Jose State University and hopes to work as an interpreter in the medical field. 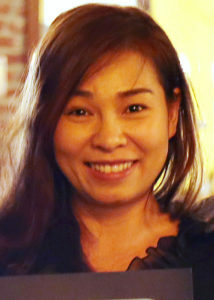 CHI NGUYEN Chi was born in Vietnam and came to the U.S. with her family in 2010. She graduated from Yerba Buena High School and attended both Evergreen Valley College and San Jose City College. She is attending UC Davis. Her short-term goal is become a math and computer science instructor. Her long-term goal is to become a database administrator. MINDY PERLA Mindy grew up in Hollister with her mother, a single parent immigrant from El Salvador. She is attending SJSU after graduating from Gavilan College. She is in the Explorer program with the Hollister Police Department. 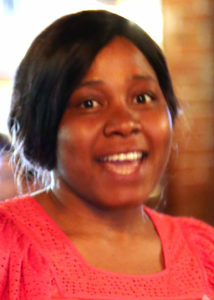 Mindy plans to major in justice studies and hopes to become a police officer. ANTHONY QUIJADA Anthony Quijada was born in San Jose and grew up in Los Banos. He acknowledges having made many mistakes as a teenager and was paralyzed when he was shot in the back at age 19. His father died of a brain aneurysm 8 months later. Despite these obstacles Anthony graduated from Gavilan College and is attending San Jose State University. He plans to major in business administration, then go to law school and practice business law. 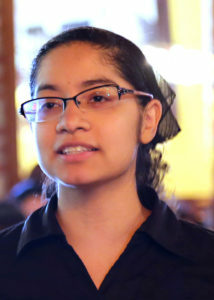 ITZEL SANCHEZ Itzel was born in Mexico and came to the U.S. with her family when she was a young girl. She learned to be independent early, as her parents both worked. Then her father suffered a disabling back injury, so her mother has been the primary breadwinner in the family. 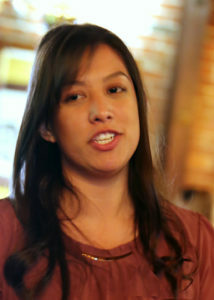 Itzel has been active in social justice issues, especially concerning undocumented students. 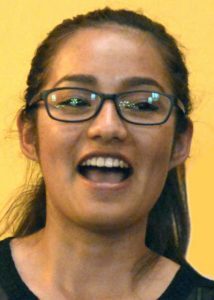 She attended De Anza College and transferred to San Jose State University, where she plans to double major in sociology and political science. 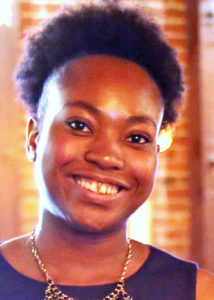 She hopes to work in public policy, either at a non-profit or in government. NORMA SANCHEZ Norma was born in Mexico and grew up in a small town where girls married early and did not get much education. She knew she did not want this for herself, so the moved to the U.S. on her own to get an education and make a better life for herself. She started high school as an English Language Development student and graduated from Live Oak High School in Morgan Hill. 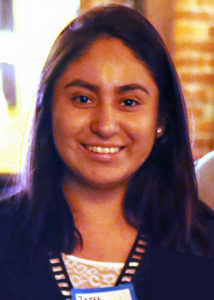 She attended Gavilan College and transferred to Cal State Monterey Bay, where she plans to major in computer science. She hopes to become a software engineer at a Silicon Valley tech company. GEORGE VILLA George Villa was born and raised in Salinas. 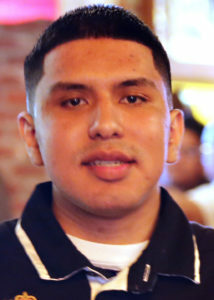 A graduate of Gavilan College, he is now at UC Davis, where his major is Community and Regional Development and he hopes to minor in Chicano Studies. George is a personal fitness trainer, former firefighter, social justice and juvenile justice advocate. 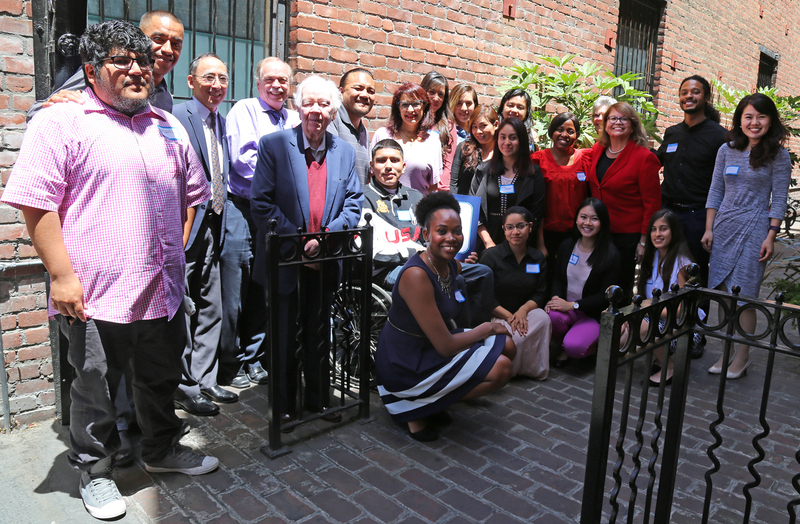 As a troubled youth and young adult, George was greatly influenced by MILPA (Motivating Individual Leadership for Public Advancement) – a collective in Salinas committed to inner and social transformation, leadership development, and community building. 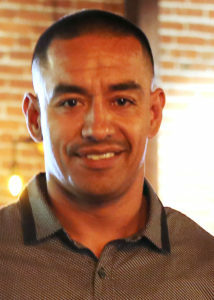 He has worked with MILPA for the past five years and plans to continue to work in Salinas to impact public health by establishing a large gym with free access for low-income children, youth and families.